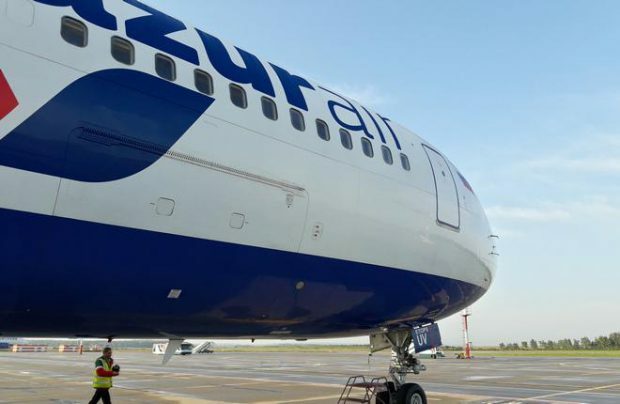 Azur Air’s fleet has increased by one Boeing 767, according to the Russian airline spokesperson. This aircraft, with the tail number VP-BUV, began commercial operation on August 18. According to information from open sources, the 767-300 was produced in 1991, and was operated by the now-defunct airline Transaero starting from 2003. The airline plans to use this aircraft on routes between St. Petersburg and the Carribean. The latest aircraft of this type was added to the carrier’s fleet last year. Besides the 6 Boeing 767 aircraft, Azur Air operates 9 narrow-body Boeing 757-200s. The charter carrier, whis is part of Anex Tourism Group, operates flights to sixteen leisure destinations in Spain, Thailand, Vietnam, India and the Dominican Republic. In the first six months of 2016, Azur Air served 855,200 passengers, an increase of 0.8% over last year’s numbers for the same period.